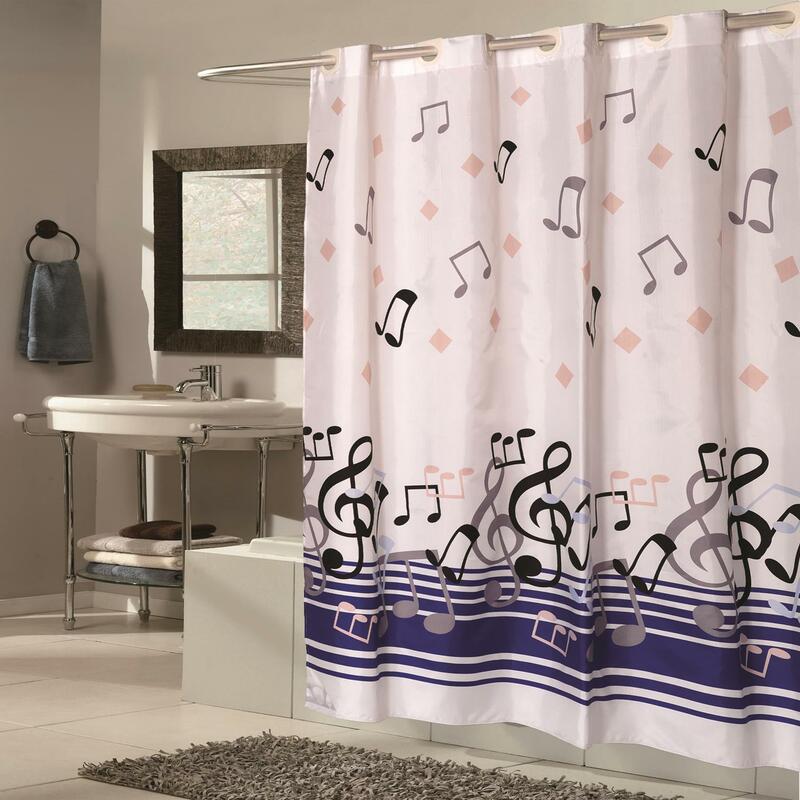 Music Note Shower Curtain – Decorate your bathroom with the Music Note Shower Curtain! 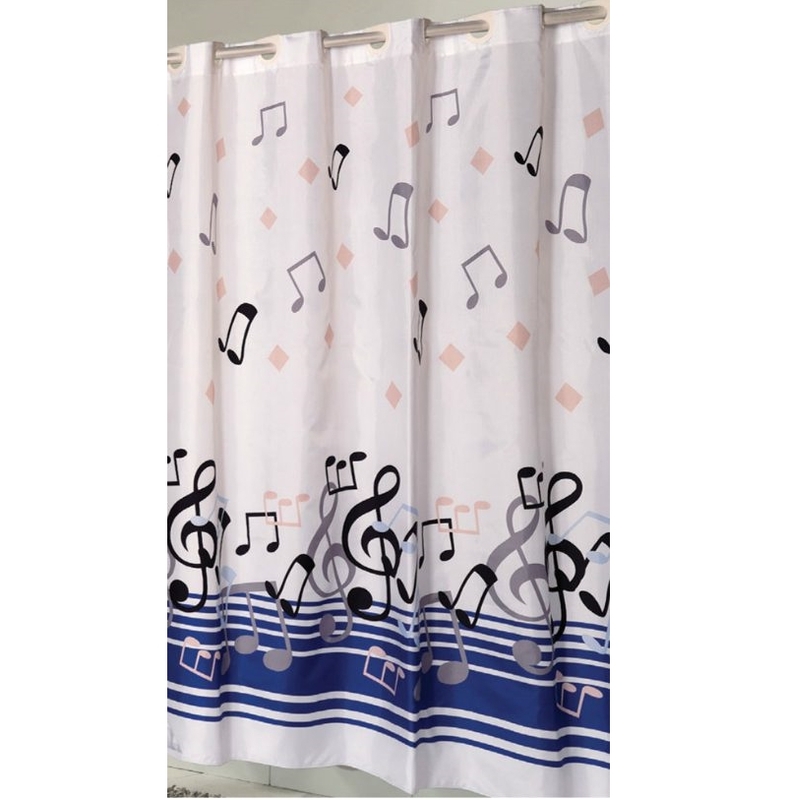 This awesome curtain has built in shower hooks! 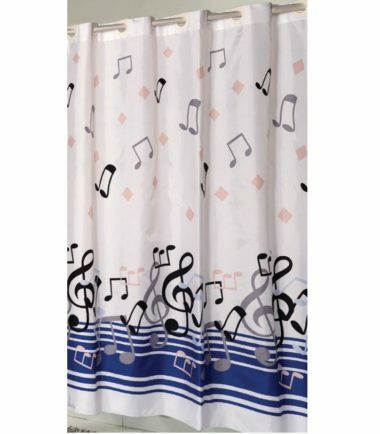 If your bathroom has a music theme, you can’t go wrong with the Blue Note, Music Notes Shower Curtain. 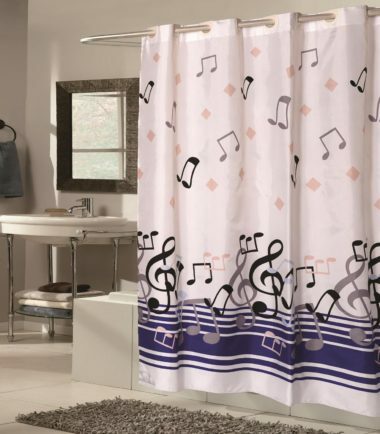 Made from 100% polyester fabric, water repellent material with a weighted bottom hem. Patented Hookless Technology. 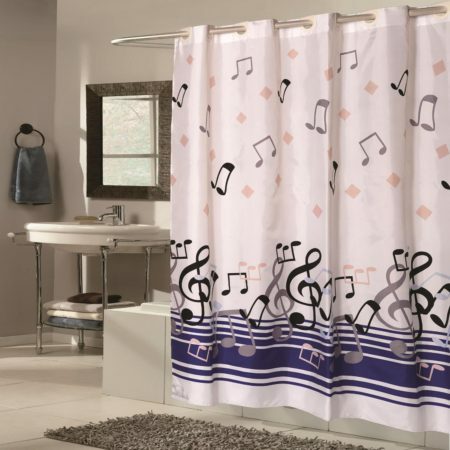 No shower hooks or liner needed! Approx. 70″ x 75″.